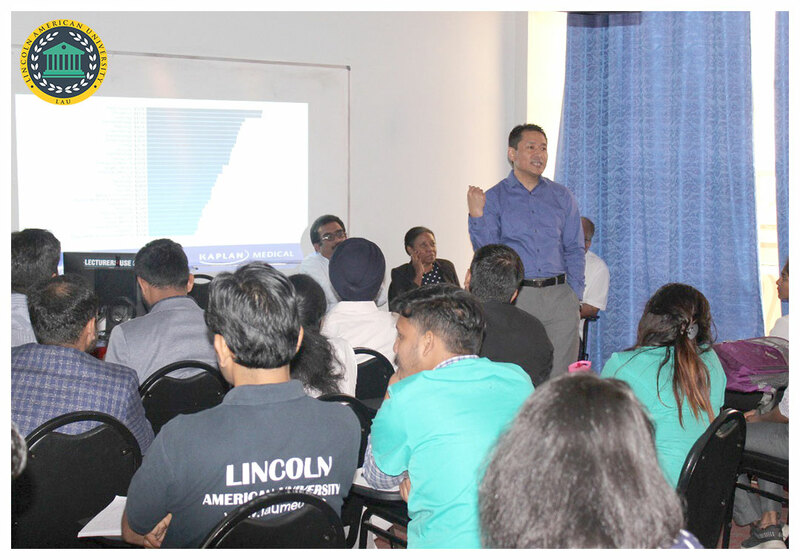 On April 1, Lincoln American University, School of Medicine (LAU) organized a seminar on the United States Medical Licensing Examination (USMLE) for all its students pursuing MD in Guyana. 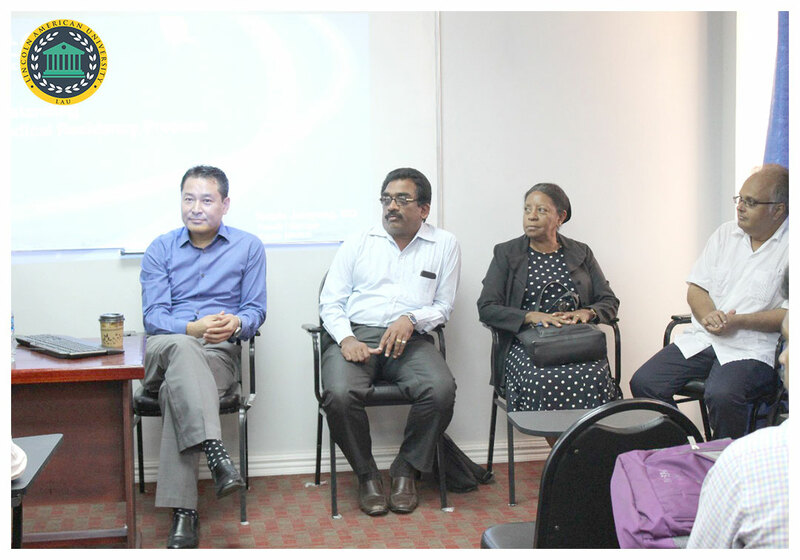 The seminar was arranged in the University Campus with a duration of 2 hours from 10.00 A.M. to 12:00 P.M. For the occasion, Dr. Tenzin Jamyang, the Faculty and International Recruitment Manager from Kaplan Medical, a leading and well-known education company that also provides USMLE preparation facilities, was invited as chief guest to come to Guyana and address the students. Dr. Tenzin flew from New York to grace the seminar with his unmatchable experience on the subject and guide all the students on this crucial aspect of the medical career. All the students of LAU attended the seminar and entire faculty members were present during the event including Mr. G V Ranganath, Registrar at LAU, Dr. Abdullah Yusuf, Faculty of Anatomy and Physiology, Mr. Kabir, Director at LAU. The seminar was divided into two sessions: one-hour session for presentation and another hour session for interaction with students, taking their questions and clarifying their concerns regarding USMLE. 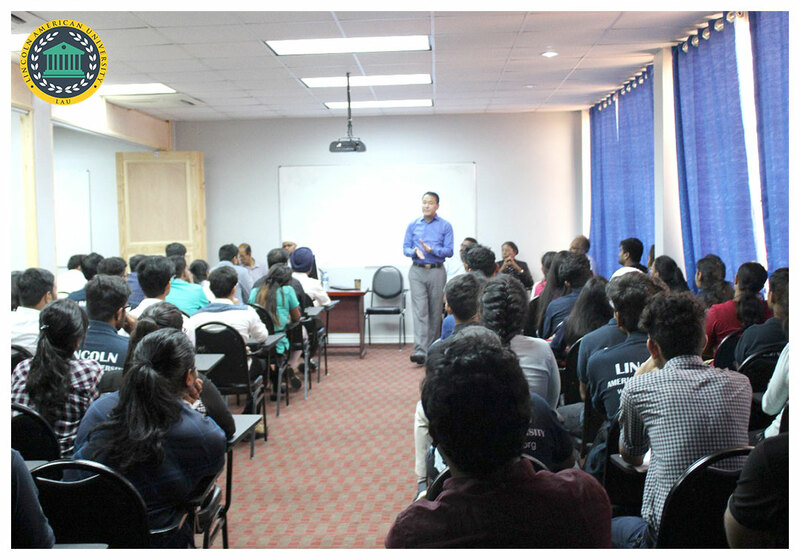 During USMLE presentation session, Dr. Tenzin clearly explained the procedure to clear the USMLE and also apprised the students about the techniques which will help the students to confidently appear in the examination and qualify the tough exam more easily and deliberately. In the next session, students made most of the opportunity to ask their queries from the USMLE Expert that Dr. Tenzin is and clear all their doubts on the subject. Dr. Tenzin made the seminar more interesting by combining the academic standards and techniques with the real-life examples and personal touch and involvement of the students. In his address to students, Dr. Tenzin mentioned that he was inclined and agreed to work with LAU because of the noble intention of the University to help the students. The students were immensely benefitted from the seminar and were able to understand the value of the LAU MD Program curriculum which is strictly based on USMLE and helps the students prepare for the Licensing Examination along with their medical education in Guyana at LAU at LAU. While LAU is proactively helping its students in the preparation of Licensing Examination with expert guidance and support form USMLE qualified faculty members, the enlightenment they received from Dr. Tenzin in the dedicated seminar will surely help them to prepare for the exam in a better way. USMLE is a three-step examination and a prerequisite for medical licensure in the United States. Since LAU is listed in WDOMS and also certified by ECFMG, LAU students are eligible to sit in the USMLE Step-1 and Step-2 during their medical program. Once students complete the MD Program, they can apply for ECFMG certification and appear for USMLE Step-3. Usually, students appear for USMLE Step-1 after completion of the Basic Medical Sciences Program and for USMLE Step-2 during the clinical rotations. It means students can complete two steps of USMLE even before the graduation that removes a significant burden from their head. Having already qualified two steps of USMLE also helps the students get medical residency in the United States after their graduation and appear for the USMLE Step-3 during their residency. Once students qualify USMLE, they can apply for medical licensure in the US and start their medical practice in the United States or another country of their choice. Recommended Read: Ultimate Guide To USMLE (United States Medical Licensing Examination).